There are some people still feel that plastic surgery is largely frivolous and is geared to the self–obsessed who have too much time and money on their hands. Fortunately this attitude is rare nowadays in America. Plastic surgery has become main stream – it’s not just a Scottsdale “thing”. Besides, plastic surgery is more than just cosmetic enhancements like breast augmentation, facelifts and nasal surgery. There is also reconstructive plastic surgery which encompasses myriads of issues such as breast reconstruction after breast cancer, treatment of skin cancers, burn scars and deformities, hand surgery, gender reassignment, replantation (reattachment) of amputated body parts, closure of large body defects from trauma or cancer, congenital deformities like cleft lip and palate, and so forth. As a plastic surgeon, I often take for granted the amazing things that can be accomplished since I have done most all of it over the years. Patients are so appreciative and not infrequently astonished at the results that can and are obtained. Of course, there are a few who insist that a plastic surgeon should be able to perform cosmetic surgery without leaving a scar whatsoever. I guess that I must have slept through the “Being a Magician” lectures. Unfortunately, outcomes are not just dependent on the expertise and skills of the plastic surgeon. The patient, with all their unique combinations of variables and factors, significantly impact the results. A plastic surgeon can perform the most technically and artistically amazing procedure but if the patient has very poor skin tone, smokes, is obese, very old or is not very compliant with instructions, the results will be less than ideal. Let me give you two examples. Take a plain and ordinary person who literally blends in with the background – you won’t really notice them in a crowd. Give them various supplements. Perform incredibly intricate plastic surgery procedures with painstaking meticulousness and a divinely gifted aesthetic eye and the results can be, well heavenly! See below. I’m sure that there are countless women who would give almost anything to look like her. And men – well, they won’t be able to stop themselves from staring and hoping… She is strikingly beautiful with long graceful legs, great curves and ideal proportions and natural appearing breasts that do not scream breast augmentation. But wait! There is more to the story. This alluring, voluptuous beauty was born … a male! Which makes the outcome light years more amazing than it already is! Conversely, even when the most creative and advanced techniques are used by eminently talented plastic surgeons, inherent and significant negative issues associated with particular patients can severely impact and “limit” the outcome. 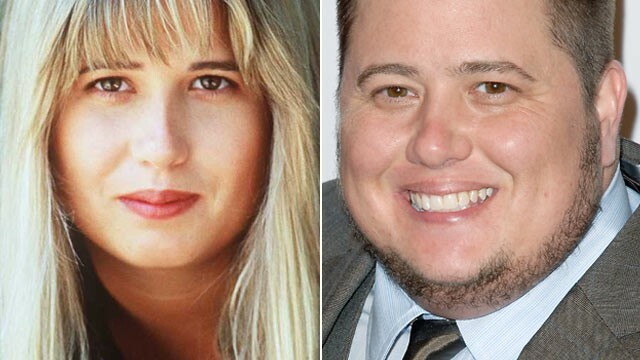 The most well known example: Chaz Bono. But then again, if the final result makes that person happy, so be it! For more information on breast augmentation or any other plastic surgery procedure or to schedule a consultation with me, please call my office at 480-451-3000.